Kingsman 3: Will Taron Egerton return to the Kingsman sequel? The first Kingsman move was a surprising hit, for lovers of comedy and spy movies alike. 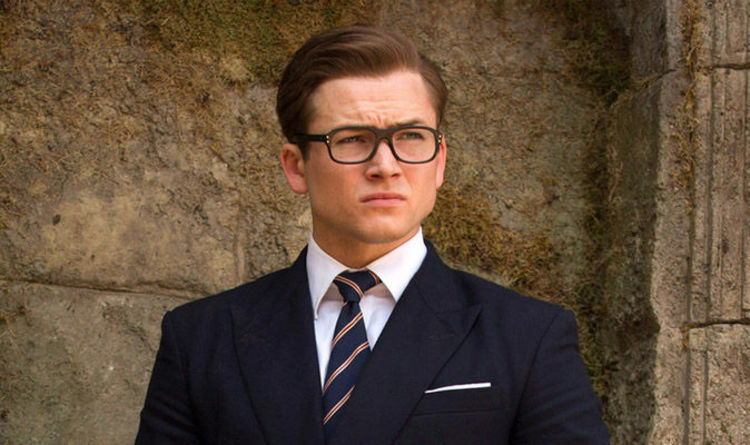 Kingsman featured then-breakout star Taron Egerton, who is now a far more ubiquitous name than he was in 2014. Though Egerton has since skyrocketed into popularity, Kingsman 2, titled The Golden Circle, received mixed-negative reviews. With Robin Hood set for release imminently, and Rocketman currently filming, Egerton’s calendar is certainly busy. But will Egerton bring his magic touch back to the threequel? Unfortunately for Eggsy fans, Egerton won’t be back in Kingsman 3. Speaking to Yahoo, he confirmed his absence in the third Kingsman instalment. Egerton was quick to amend the definitiveness of his statement. “That doesn’t mean I won’t be in Kingsman ever again,” he said. “I was with Matthew Vaughn as little as a few days ago, we’re still very much in business together, but his next journey in that world doesn’t involve me. “His idea for the new one is incredibly exciting. Relatively certain plot rumours say Kingsman 3 will be a prequel. The third movie will be set during World War 1 and will tell the origin story of the Kingsman. Mixing up comic book lore with real history, the film will blur elements from the (real) Duke of Lancaster’s Regiment, which has had a rank known as “Kingsman” for more than a century. Replacing Kingsman stalwarts Colin Firth and the aforementioned Egerton are Harris Dickinson and Ralph Fiennes. According to That Hashtag Show, one of the new characters, presumably played by Dickinson, will be Conrad. Conrad is reported to be a young, cocky and charming teenager and the son of a British Duke. Rumour has it the character will be enthusiastic about serving king and country. The third Kingsman movie has a release date of November 8, 2019, in the UK. So far, no other plot nor cast details have been confirmed. Filming for Kingsman 3 is set to start in January 2019. Overlord: How to watch the full movie online? Is it legal? Frozen 2 release date: Frozen 2 release date CHANGED – what is the new UK release date?